May require careful socialization to prevent or reduce fear-based defensive behaviors. 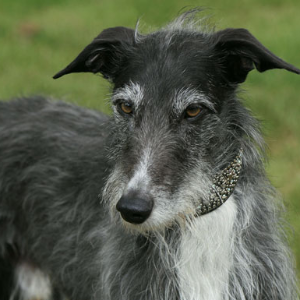 The Spanish Greyhound has a reputation of being good with other animals, especially cats. Say hola to this affectionate and sensitive athlete. 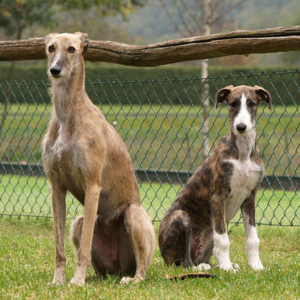 The Spanish Greyhound (or Galgo Español) originated on the Spanish plains, where it was created to hunt hares and rabbits. 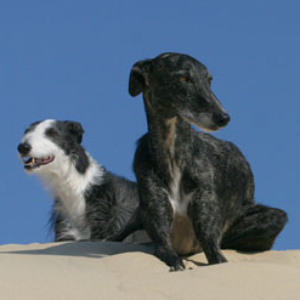 The Galgueros, or Galgo hunters, bred the dogs for centuries. 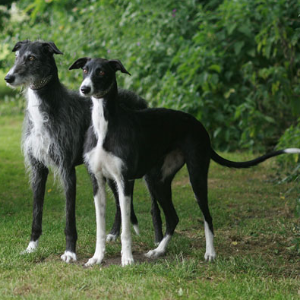 The breed is thought to feature on a Roman denarius coin and also famously appears in the novel Don Quixote. 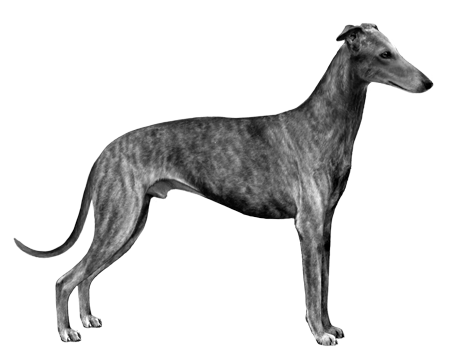 In the early 20th century, they were reportedly mixed with the English Greyhound to increase their racing speed. Today, they remain uniquely Spanish, but there are regional variations depending on different local terrain. 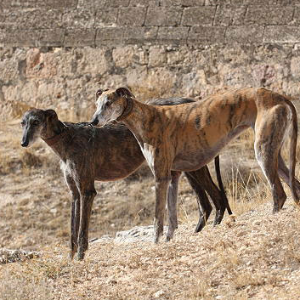 Galgo Españols need to run regularly, which is why they are often known to sleep a lot during the day. 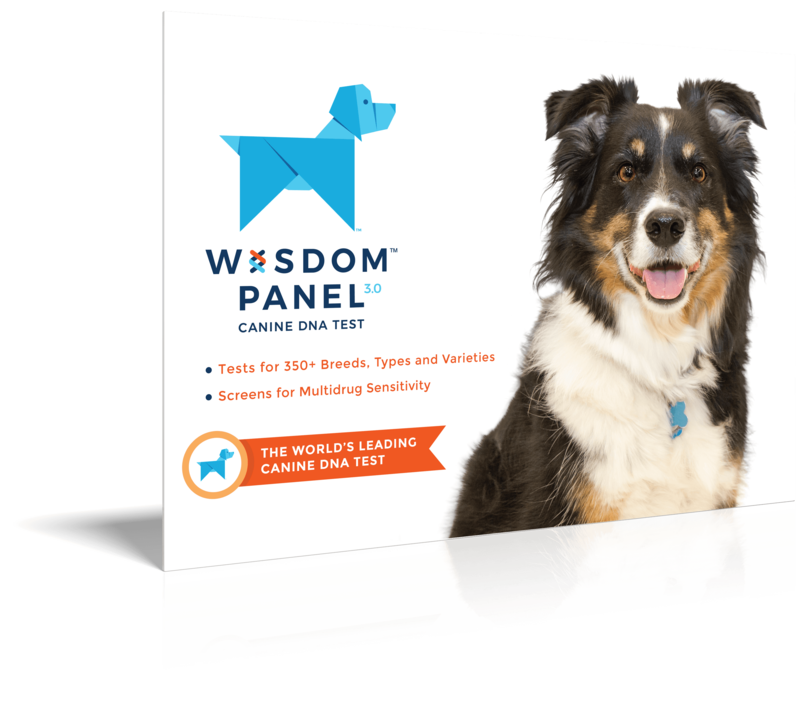 Gentle and affectionate, these dogs certainly make for dream pets too.